To celebrate the cumulation of the orientation program for the new international students at TU Delft, the university hosts a multicultural event complete with dancing, food and drinks. Directly following the closing ceremony of the program, the new students are welcomed to the university in the Aula by DJs and tables of campus student groups. TEDxDelft was among the groups. As they come from all over the world, many new students weren’t aware Delft had its own TEDx event. We were interested in promoting the event and, most importantly, locating volunteers. 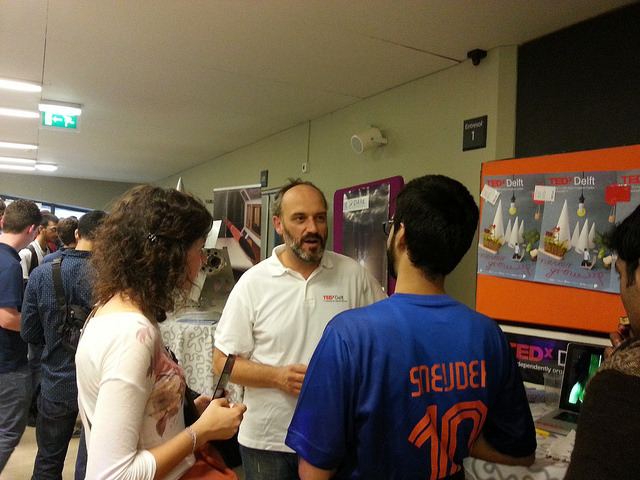 Our TEDx event is run nearly entirely by volunteers, many of whom are affiliated with TU Delft. 130 names and email addresses later, we were quite pleased with the outcome. 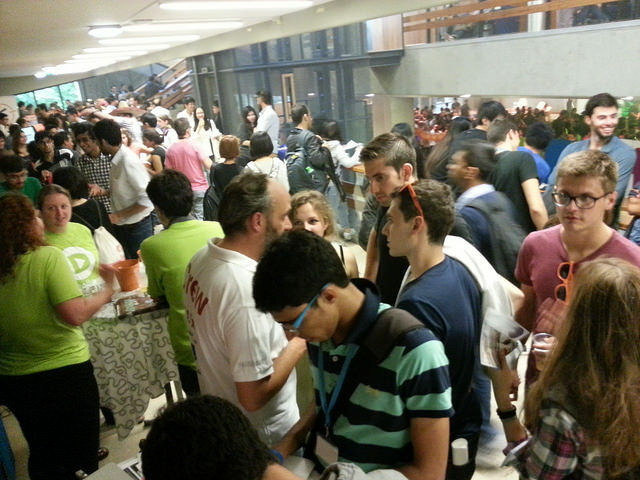 If you’re interested in volunteering for TEDxDelft, sign up using our volunteer form.